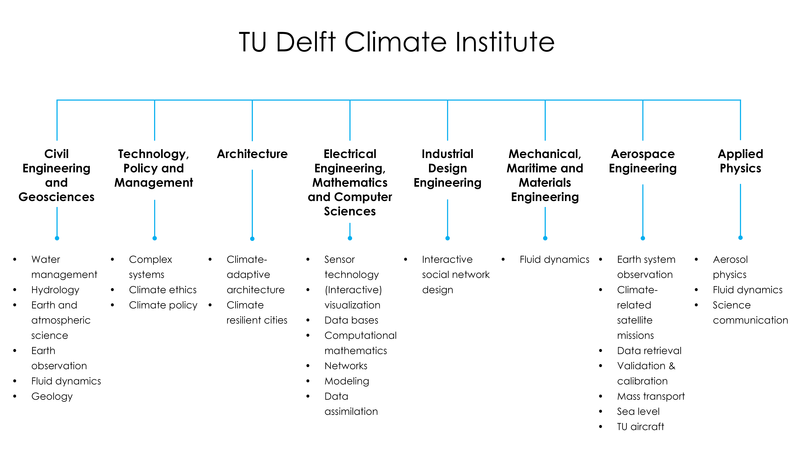 TU Delft Climate Institute aims to bring together the data driven climate-related research taking place at the University. Currently the institute is focusing on four research themes: ‘Extreme weather and the city’, ‘Aerosols, radiation and clouds’, ‘Observation & validation of sea level rise and mass transport’, and ‘Climate information and policy’. Spread all over the campus of TU Delft you can find researchers working on the topic 'climate', either by producing climate sensors, by producing models that describe our climate or by working on ways to cope with climate change. In TU Delft Climate Institute their expertise is brought together. 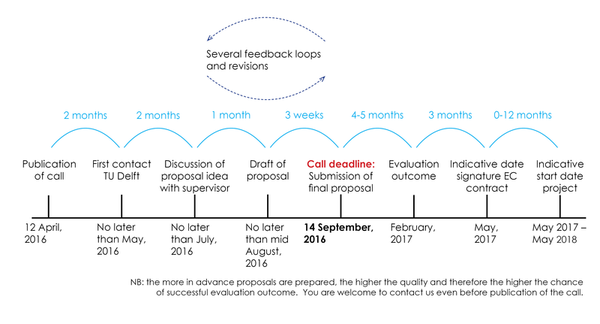 Within this highly multidisciplinary context and especially at the intersections, TU Delft Climate Institute welcomes all innovative Marie Curie fellowship proposals. We welcome all proposals in the disciplines we are active in and especially at their intersections. After receiving your draft proposal, you will receive an confirmation E-mail and the request to send your CV.